Smacksy Saturday Photo: Dog. Bed. - . It's vitally important that Daisy be comfortable. 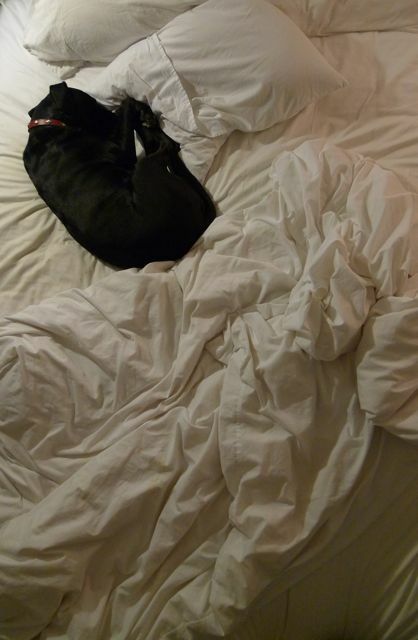 This looks just like my bed in the morning with only a slight difference in dogs.